Luscious Lifers who love period films will adore this British TV series – the costumes, characters, storylines, interiors and exteriors are all fabulous. It feels like “Brideshead Revisited” meets “Pride and Prejudice” meets “Upstairs Downstairs”, all wrapped up into one. Luscious viewing heaven! 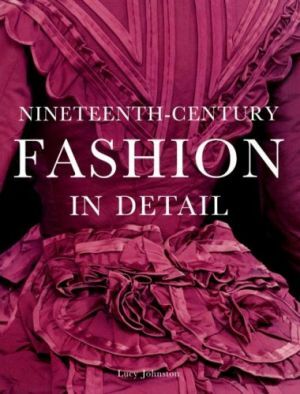 I particularly adore this period in history, the Edwardian dresses and later “flapper fashion”, as well as the look the major changes in society. So much happened in the first part of the 20th century, and we get to explore it through the development of the characters in this brilliantly written period drama. 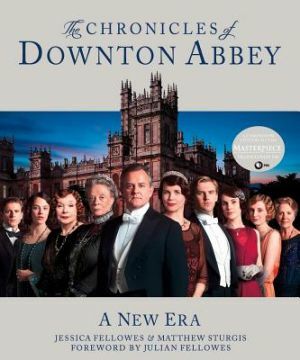 The series first screened in the UK in 2010 and we’re now up to season 4 (Note: You can buy the DVD from Amazon if you want to start from the beginning) with the fictional Downton Abbey set at the real-life English country house, Highclere Castle in Newbury, West Berkshire, England, the home of the Earl and Countess of Carnarvon. See the official website for Highclere Castle here, which has been home to the Carnarvon family since 1679. And buy the book, Lady Almina and the Real Downton Abbey: The Lost Legacy of Highclere Castle by The Countess of Carnarvon and Lady Catherine, the Earl, and the Real Downton Abbey by The Countess of Carnarvon. Starting in 1912, “Downton Abbey” follows the family and staff of the Earl of Grantham who live at Downton Abbey in the glorious English countryside (Highclere Castle in Hampshire, in real life). It’s Edwardian lusciousness galore, with frocks, scenery and beautifully-portrayed relationship development. Created and written by Oscar-winning Julian Fellowes (Gosford Park, The Young Victoria), it stars Hugh Bonneville, Dame Maggie Smith, and Elizabeth McCormack, Penelope Wilton, Dan Stevens, Michelle Dockery, Jim Carter, Phyllis Logan, Lesley Nicol, Siobhan Finneran, Rob James Collier, Joanne Froggatt and Rose Leslie, and many others. Prequel: In September 2012, Julian Fellowes said he was working on a spin-off prequel which revolves around Lord Grantham and Cora’s courtship. Initially planned as a book, it was picked up by ITV to become a TV series. Series five: A fifth series of Downton Abbey has been commissioned, to be broadcast in 2014. See more from the official ITV website, or read about it on IMDB and Wikipedia. English Country House style in the 1920s and 30s. You might also like our list of suggested reading and viewing, in this Downton Abbey-related post.